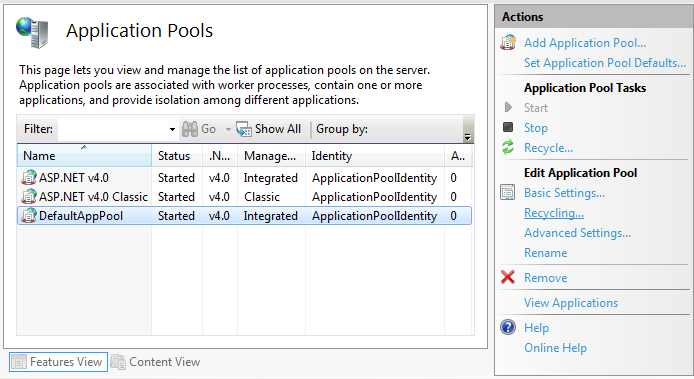 1 What is an Application Pool? 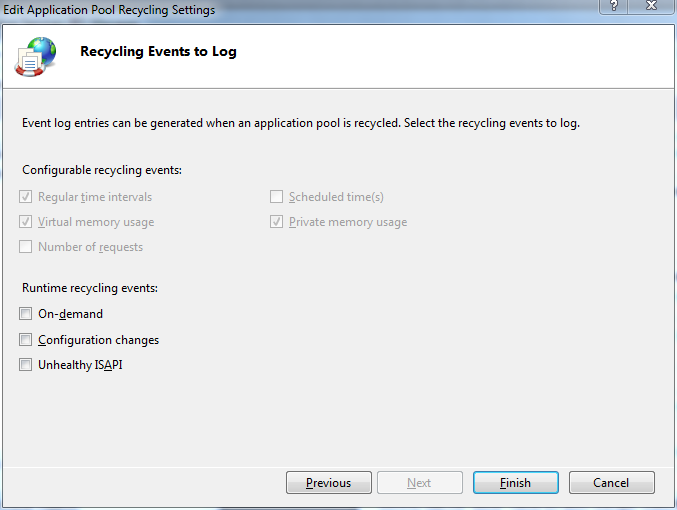 2 What is Application Pool Recycling? 3 Why does recycling cause the first load to last longer ? 4 When does recycling happen? 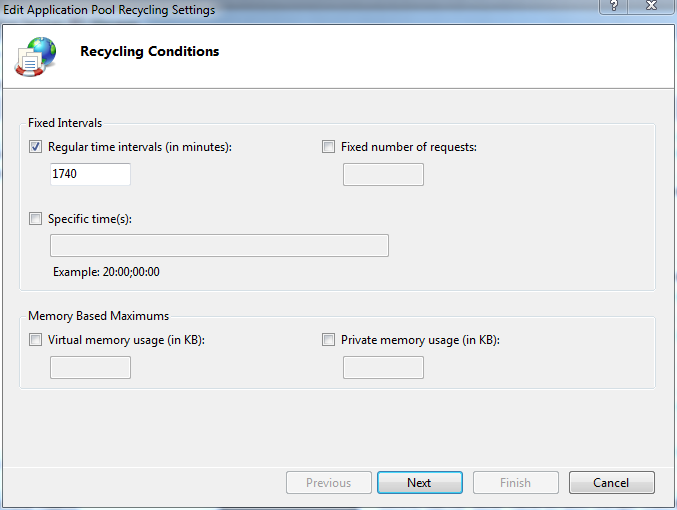 5 How to configure when automatic application pool recycling is done? 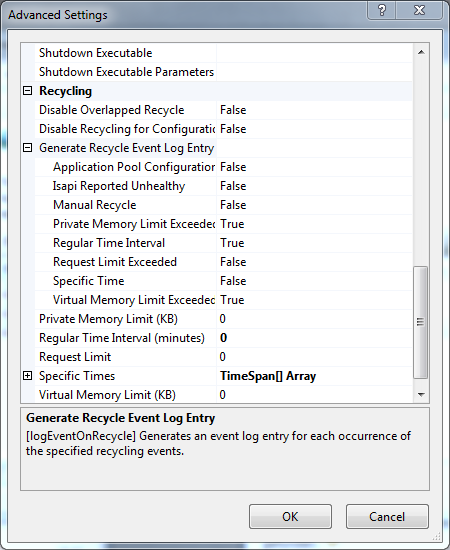 6 How do I know when recycling has occurred? 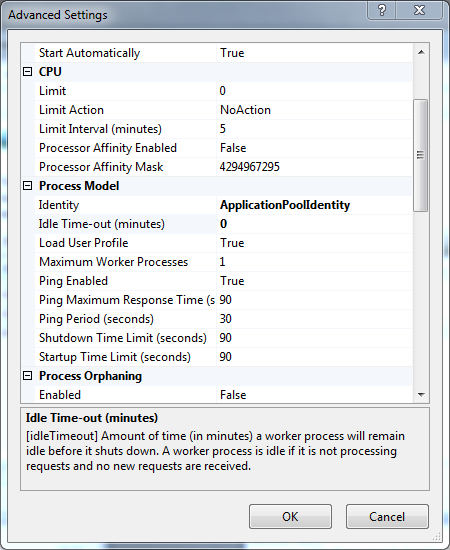 This entry was posted in IIS, Orchard CMS, Web, Windows. Bookmark the permalink.